Ever since I was a little girl, I’ve been fascinated with the fairy tale of the Brothers Grimm called ‘Town Musicians of Bremen’. The story is about four mistreated domestic animals (a donkey, dog, cat, and rooster) that decide to run away and become the town musicians of Bremen. My friends and I used to pretend we were these animals and I was also the cat. Needless to say, when I found out that Bremen actually existed, I wanted to travel to the city. 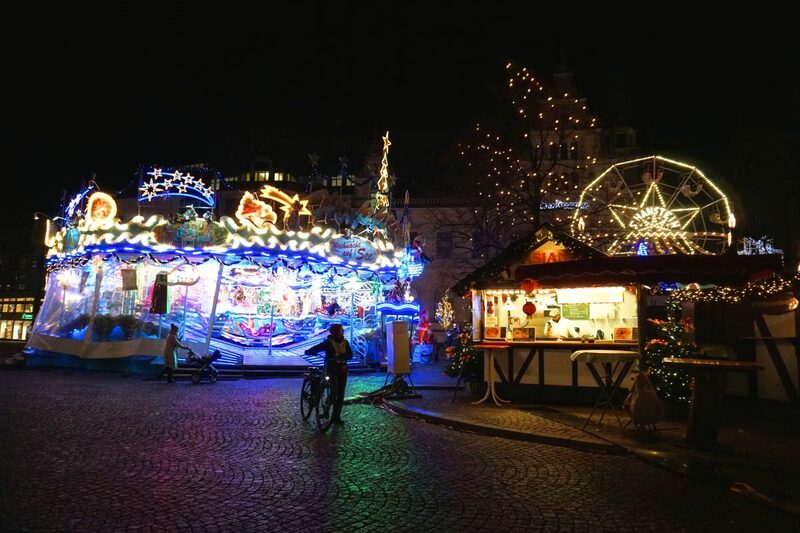 And then, a couple of months ago I read that Bremen has one of the best Christmas markets in Germany and I knew I had to visit the city during the festive season. 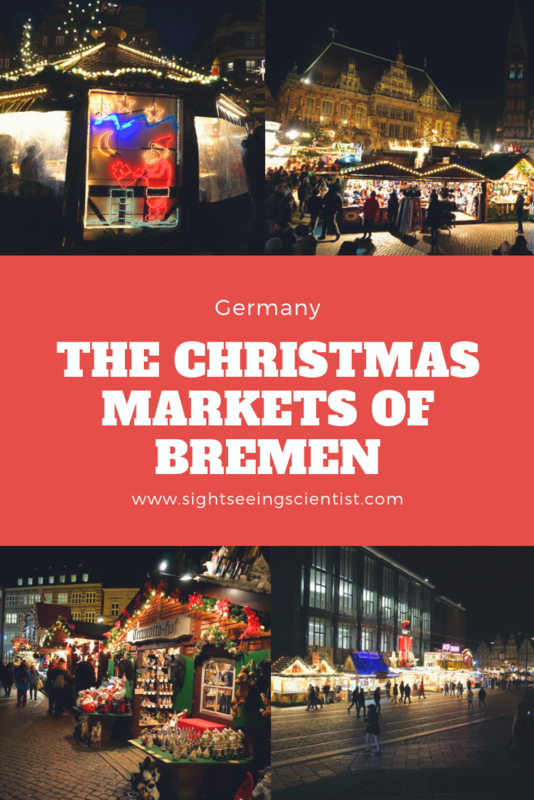 Here’s why you should definitely check out the Christmas markets of Bremen. 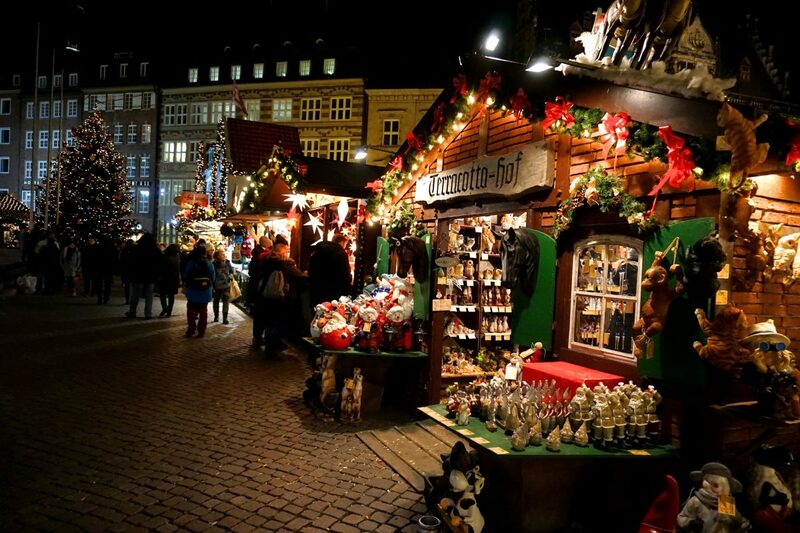 The festive spirit in Bremen is almost palpable. Buildings and trees are drenched in lights. More than 160 decorated huts and stalls selling a variety of local and international products. What can you expect to see? Oh, the list is endless! 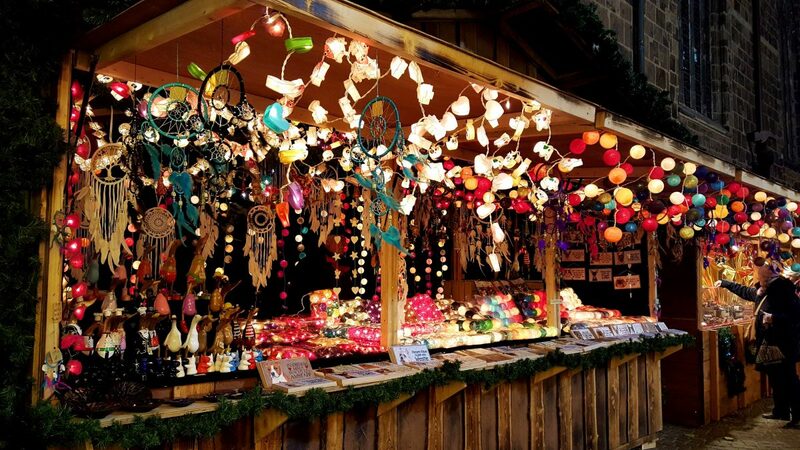 Paper lanterns, handmade candles, wooden crafts, gloves, coats, dream catchers, and Christmas decorations. Finding a unique gift for someone special won’t be a problem. And then there’s the food! My advice is to come to the market hungry because there are loads of delicious food and drinks to indulge in! Currywurst, fish, flammkuchen, pitas with various toppings and pastries. And then there’s the humble potato. Germans love potatoes, from potato soup to fries to pancakes (kartoffelpuffers). In the end, I decided to eat a cheese bagel (because I love bread and pastries). It was huge, freshly baked, warm to the touch and very filling and affordable. Get your bagels at this truck! 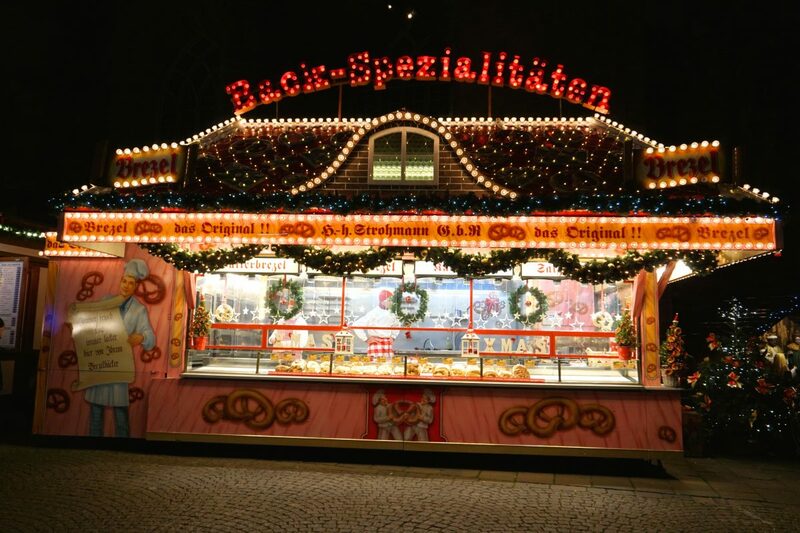 For something sweet, I recommend the lebkuchen (traditional German gingerbread), sugar roasted almonds or schmalzgebäck (little German doughnuts). 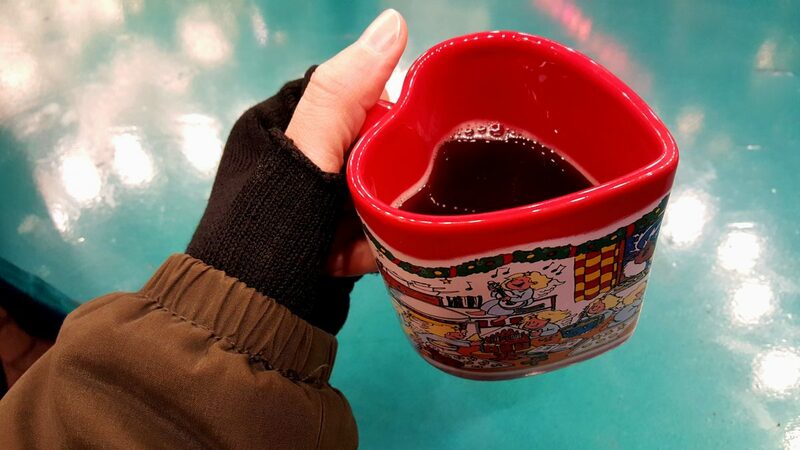 Now for me, enjoying a cup of mulled wine is synonymous with Christmas markets! If mulled wine isn’t your thing, don’t worry, there are lots of other seasonal drinks to warm up your insides. Also, you won’t get bored because there’s a ton of activities to keep you busy including rides and a Ferris Wheel. 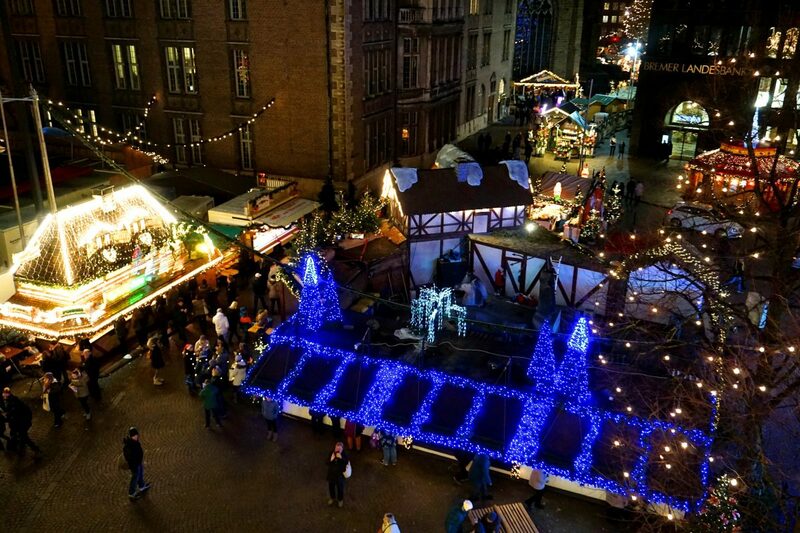 Despite the icy air, I enjoyed riding the Ferris Wheel because you get a great aerial view of the Christmas market. You can also have your photo taken with Santa Claus or marvel at the huge Christmas tree. And what is a German Christmas market without a nativity scene? 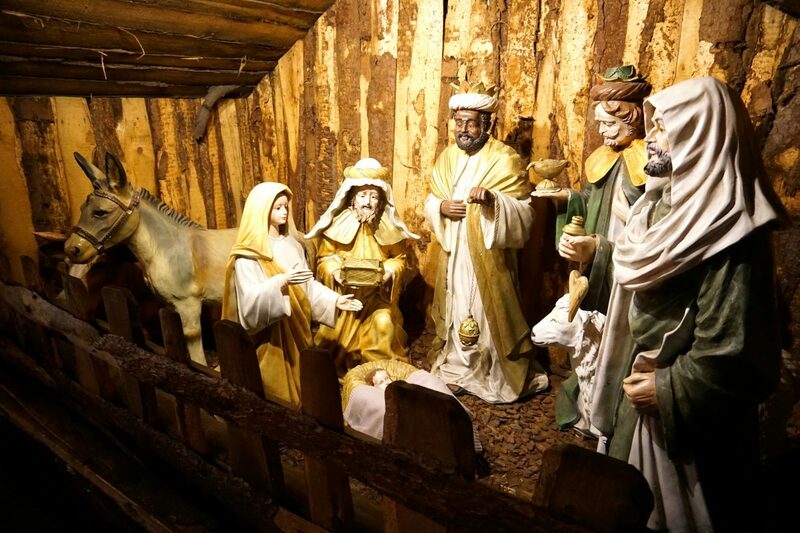 You can find this beautiful nativity scene next to the Cathedral. 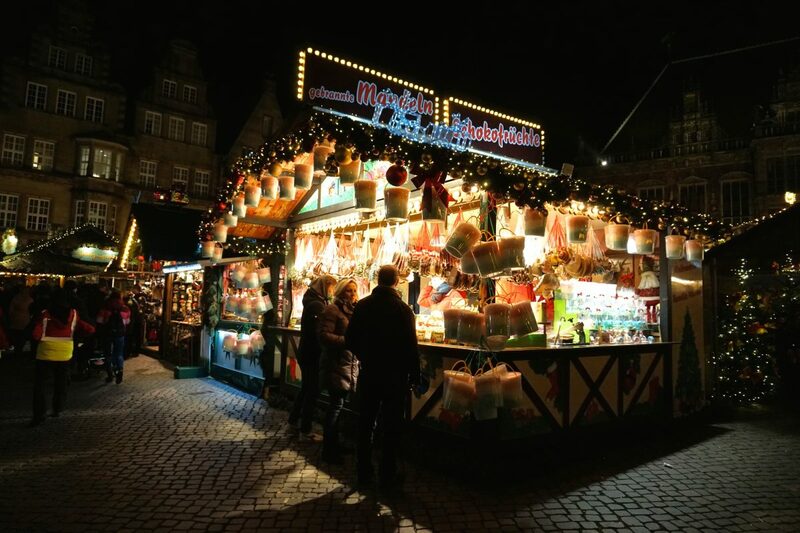 Where can you find the Christmas markets in Bremen? 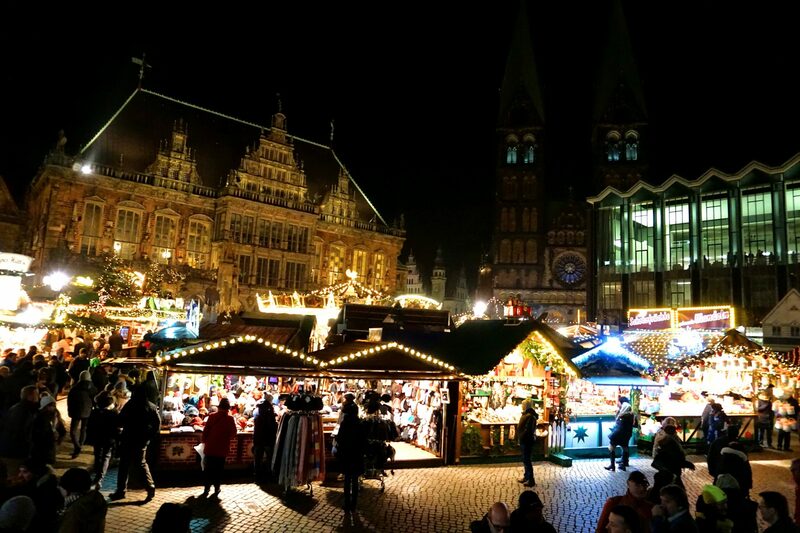 The Christmas markets in Bremen can be found in the historical market square, around the town hall, the Roland statue, the Church of Our Lady and the Bremen Cathedral. 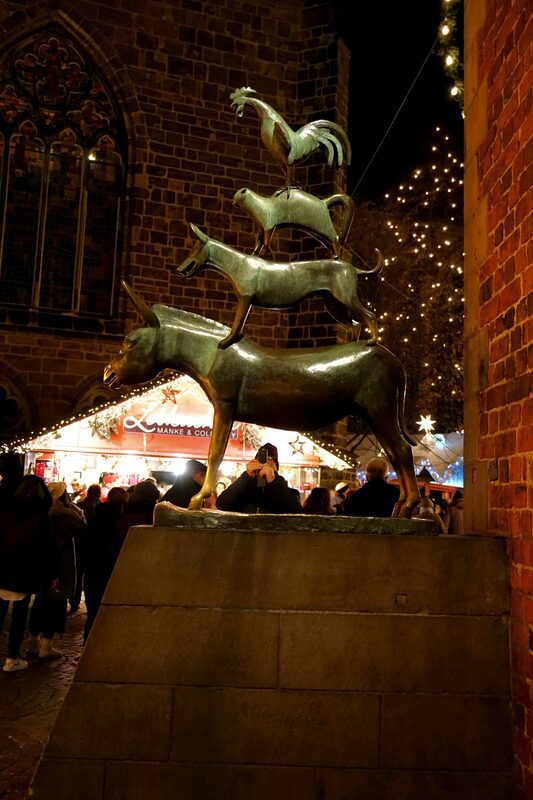 Don’t forget to check out the statue of the ‘Town Musicians of Bremen’ as you browse through the market. You’ll notice that the legs and the snout of the donkey are shiny. That’s because it’s said to be good luck to touch them. I loved strolling through the markets looking at all the pretty crafts and soaking up the festive spirit. 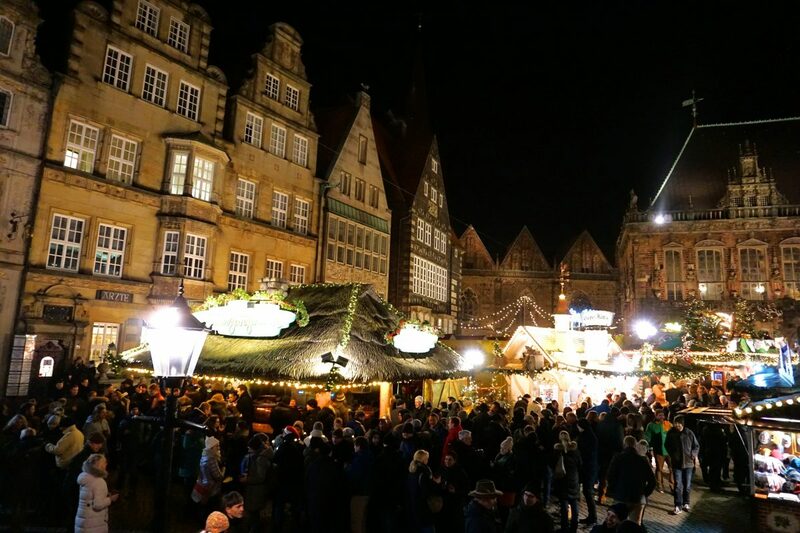 Over to you, have you been to the Bremen Christmas markets and what did you think?